Eric Kuster behang is nu hier verkrijgbaar in onze behangwinkel te Amsterdam: de Metropolitan Luxury Wallcoverings collectie! Eric is een van de meest toonaangevende interieurdesigners van dit moment. Met interieurs die bekend staan om hun internationale uitstraling. Een deel van zijn geheim zit hem in de prachtige materialen die hij in zijn interieurs toepast: de Eric Kuster 'Metropolitan Luxury' Collection. Stoffen voor gordijnen, vitrages, in betweens, kussens en meubels. En volgend jaar breidt hij zijn collectie uit met behang, waaronder schitterend luxe raffia behang. 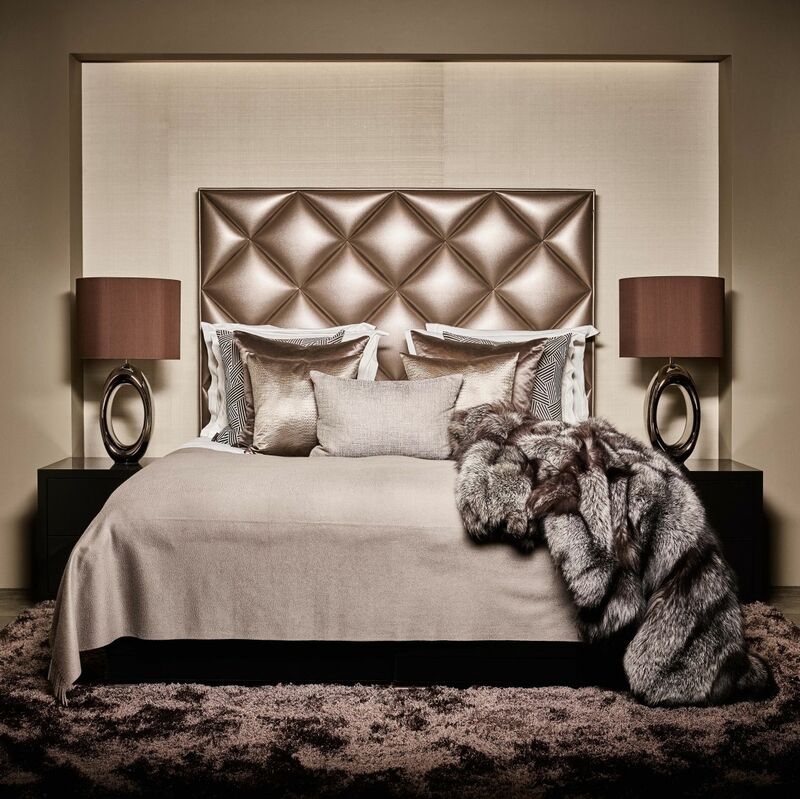 Luxury By Nature is exclusief dealer van Eric Kuster behang voor heel Amsterdam en omgeving, maar we bedienen heel Nederland. In onze woonwinkel / interieur stoffenwinkel kunt u de collectie bekijken en u laten inspireren. Dit behang wordt per strekkende (lengte / hoogte) meter verkocht. En is 90 cm breed. Afhankelijk van hoeveel u nodig hebt, ontvangt u één rol van de benodigde aantal meters, 90 cm breed. Het Eric Kuster behang bestaat uit natuurlijke materialen en wordt met de hand gemaakt. Dat maakt dat dit behang behalve zeer exclusief, ook kostbaar is. € 105,- per strekkende lengte meter. Because of the nature of the materials, colour and structure anomalies will occur, such as the uneven aspect and ‘blotchy’ spots of colour. Colours are not light fast creating a unparalleled patinated effect over a period of years, improving their decorative character. Obviously, these natural wallpapers are not recommended to customers looking for uniformity or a seamless wallcovering as produced by mechanical factories or industrial manufacturing plants. These natural fibers come from organic plants and are carefully chosen for their good quality, their beauty, their size and refined looks. They are washed in cold torrents and dried in the sunlight before being split amongst hand-weavers, using the same manual weaving looms from one generation to the other. According to traditional methods, the materials are spun into threads to be woven like fabrics. The excellent weaving process to produce one single roll lasts at least two days and the dyeing process is done by hand only. Some materials are dyed when threaded whilst others are dyed when stuck down onto the backing paper. dried completely. If you do find any faults, the Eric Kuster company can only accept complaints for a maximum of three lengths. Remove old wallpaper and loose plaster. Re-plaster uneven areas and rough surfaces. The hanging surface must be firm, dry, clean, smooth and lightly absorbent. Very absorbent surfaces should pre-treated with a sealant. Light colours require a similar coloured hanging surface. You can retouch the edge areas in a corresponding colour if using darker or stronger colours to achieve a more professional finish at the seam. We recommend applying a liner, hung edge-to-edge to create a good hanging surface. Cut wallpaper to the desired length adding approx. 5 cm top and bottom for adjustments. Mark the top of the strips discretely. Do not drop the wallpaper and hang each piece in turn. Spread the paste evenly with a brush. Brush over once again if necessary once it has soaked in to ensure that the paste is absolutely even. As far as possible there should be only one sheet of wallpaper on the table at a time. Do not crease the paper and do not get any paste on the front. Hang the sheets edge to edge and remove air bubbles with a wallpaper roller. Avoid draughts in the room during the drying process. Eric Kuster behang is in onze behangwinkel te zien en te bestellen.